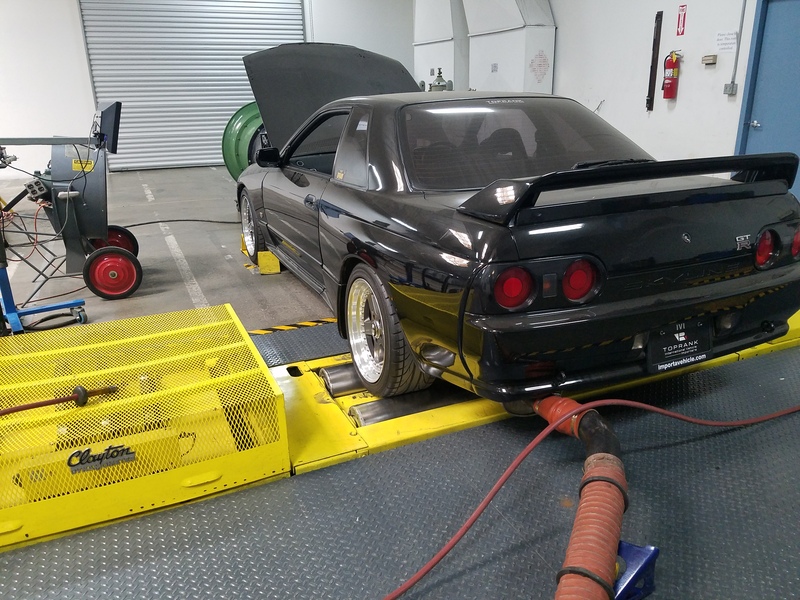 We can help bring any Japanese or other foreign imported vehicles that we sell into California compliance at an ARB certified lab. 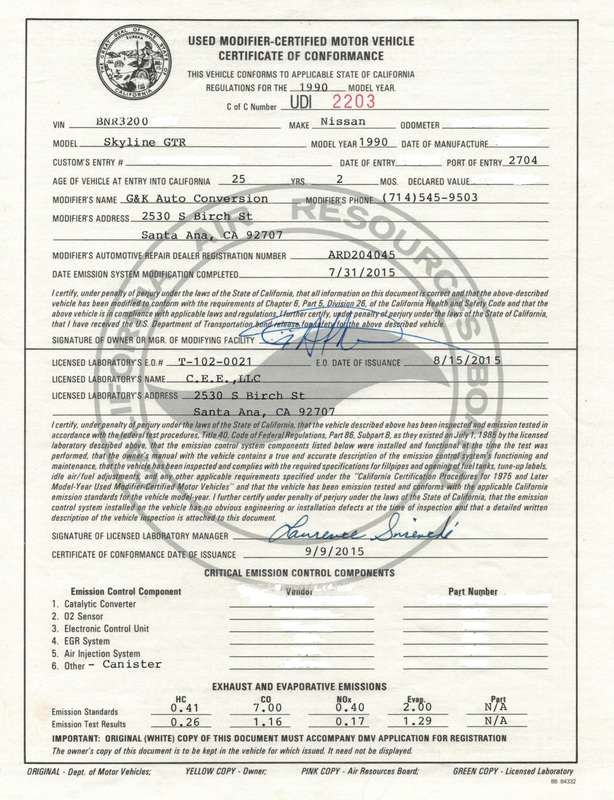 California has some specific requirements in order to be able to register an imported vehicle that was never EPA certified. 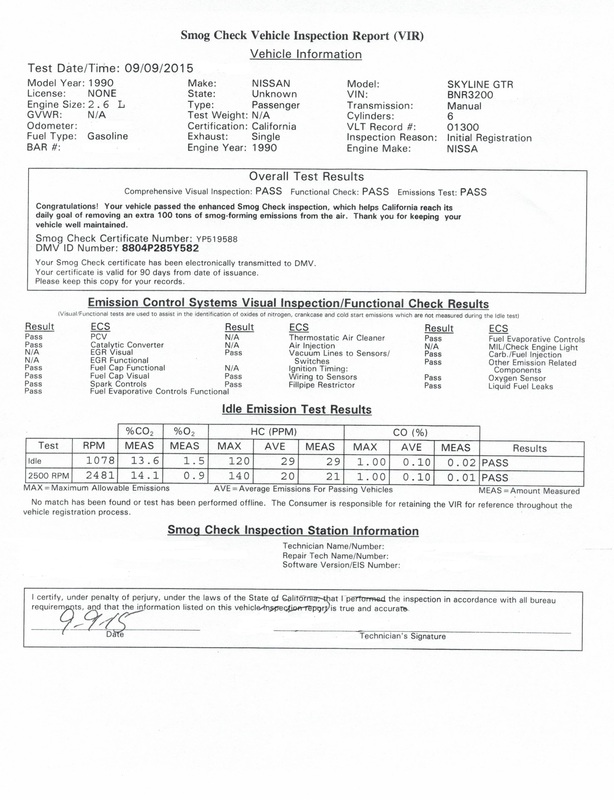 So even if you buy a 25 year old vehicle from another state, California requires the vehicle meet EPA requirements for the year of the vehicle, and a smog test prior to registration. This cost can be anywhere from $4000, to $10000 for most JDM market vehicles. This cost is paid directly to the lab, we just help facilitate the process on vehicles that we sell.